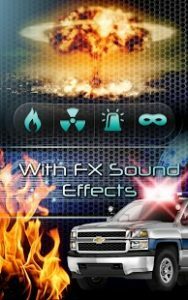 Powerful flashlight with fx : Now all the flashlight’s sounds are COMPLETELY FREE until January 2016. TAKE ADVANTAGE OF THIS FREE OFFER! 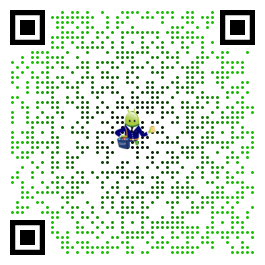 Morse code: the only flashlight that is able to send a light Morse code with a message you introduce. SOS Emergency mode: The emergency mode allows you to send a visual S.O.S signal with the flashlight (3 short beams, 3 quick beams, 3 short beams). Ideal for hikers, climbers, mountaineers, surviving in the wild or any sport that might require easily producing a distress signal. FX Offer: The flashlight features sounds effects for the user’s own entertainment. POLICE SIREN: The classic police, firefighters, ambulance, and security forces emergency siren. FIRE ALARM, FIREFIGHTERS: Ideal for emitting a powerful fire alarm in case of fire. NUCLEAR ALARM: To use exclusively for a nuclear attack; it emits a powerful signal to seek the nearest shelter. THEFT ALARM: Simulates a powerful alarm that resemble a police alarm, which will act as a anti-theft alarm to prevent the robber from committing more offenses. HD design: a simple but attractive flashlight. Strobe function: emits up to 9 different levels of strobes for a flash experience ( it is not recommended to look directly at the flashlight or use the flashlight with a previous history of epilepsy). This is definitely fun and the kids got a kick out of it!! And its still a practical flashlight!! !